Chesterfield Power Station stores 15 million tons of coal ash on its premises, and environmental groups are worried about it. The coal ash’s close proximity to the James River has caused concern among environmental organizations that a severe flooding event could send the ash spilling into the river. The ash ponds are located less than a half-mile from the riverbank, and only several hundred yards from Dutch Gap Conservation Area, a popular walking and kayaking destination. According to environmental activist and Potomac Riverkeeper Dean Naujoks, the power station’s ash ponds aren’t prepared for the type of flooding seen during Hurricane Florence, which caused an estimated 17 billion dollars in damage and wreaked havoc on North Carolina’s rivers last September. North Carolina experienced just such an event during Hurricane Florence when a coal ash landfill at Sutton Power Station in North Carolina was breached by floodwaters, and released 2,000 cubic yards of toxic ash into nearby Sutton Lake and the Cape Fear River. The spill has brought renewed attention to the stability of Virginia’s coal ash ponds. 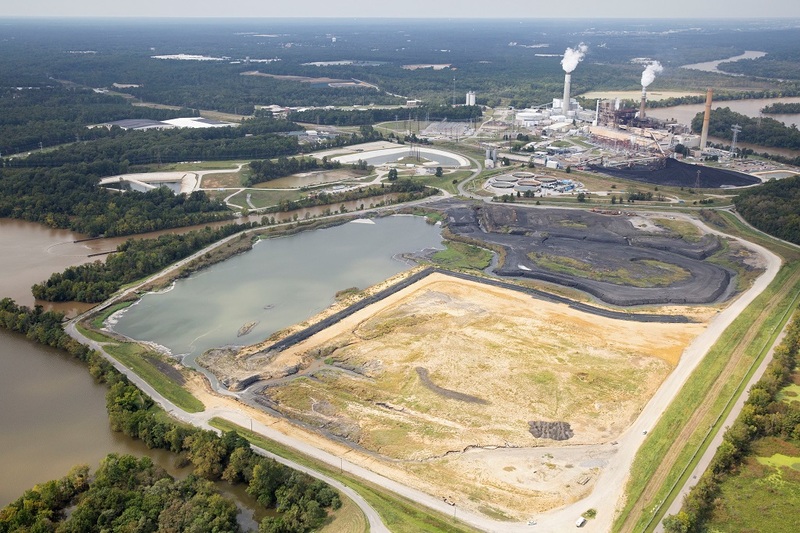 Chesterfield Power Station has two coal ash ponds on site, as well as newly constructed dry ash landfill. Southern Environmental Law Center attorney Nate Benforado said that the ash pond’s aren’t equipped for severe weather, and expressed concern at the power station’s ability to prevent an ash spill. A “significant” hazard rating indicates that, in the event of a dam failure or misoperation, there would be economic loss, environmental damage, and disruption of lifeline facilities, including power and water services, in the areas surrounding the coal ash ponds. 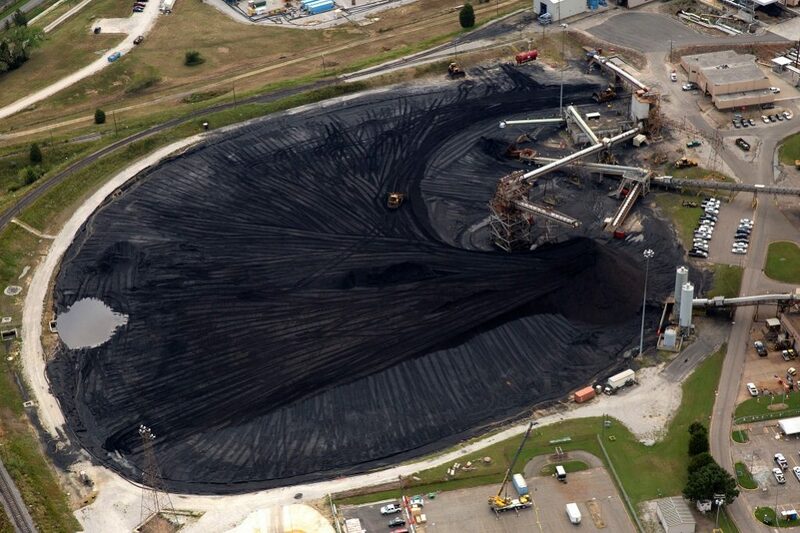 The remaining 13 million tons of coal ash are stored at the power station’s upper ash pond. The EPA determined that the upper ash pond’s hazard potential was not significant. 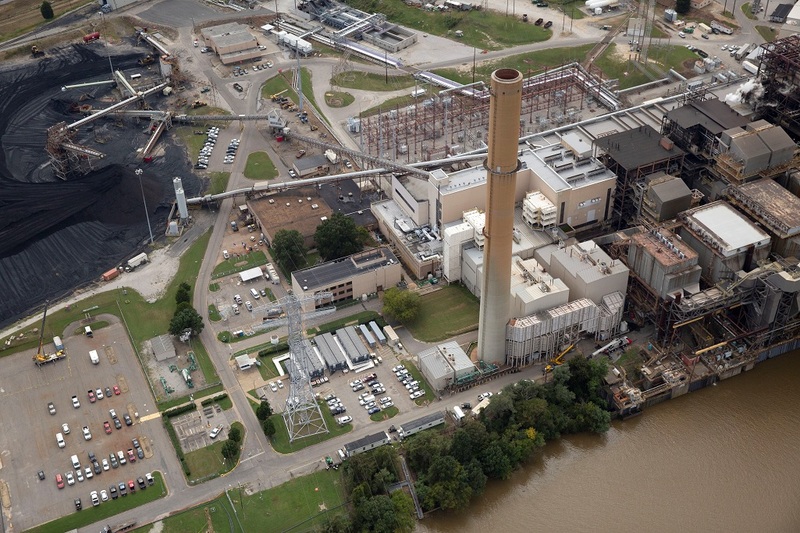 Dominion Energy, who owns and operates Chesterfield Power Station, is in the process of closing 11 coal ash ponds across four sites in Virginia. Many of the coal ash ponds will be capped in place, including Chesterfield’s lower ash pond. Environmental organizations have scrutinized Dominion’s decision to leave the coal ash in place, saying that the unlined ash ponds will continue to leach toxic chemicals into the groundwater after they’ve been closed. In March 2018, Dominion began releasing groundwater reports for the coal ash ponds at Chesterfield Power Station, as required by EPA regulations. According to SELC, the reports showed that ten of the wells at the site exceeded the allowable limit for arsenic, in some cases as high as 17 times the limit. Dominion’s data also showed high levels of chemicals like boron and chlorides in the groundwater at Chesterfield Power Station. These reports were online as recently as last month, but Dominion’s website now has a dead link where they once were. “We found arsenic at incredibly high levels, 282 parts per million right here, which is higher than many Superfund sites that have really bad pollution problems,” Benforado told the Richmond Times-Dispatch in 2017. According to the EPA, the presence of these chemicals at these levels are among the indicators that coal ash pollutants are seeping into the groundwater in the surrounding area. “The evidence is very clear that the coal ash ponds at Chesterfield Power Station are leaking into the adjacent waterways,” Benforado said. A 2017 report issued by researchers at the University of New Hampshire found that recycling Virginia’s coal ash for use in concrete manufacturing is a cost-effective alternative to capping the existing ponds, and would substantially reduce the environmental impact of the ponds on the surrounding ecosystems. Dominion Energy hasn’t offered any alternatives to its current plan, however.